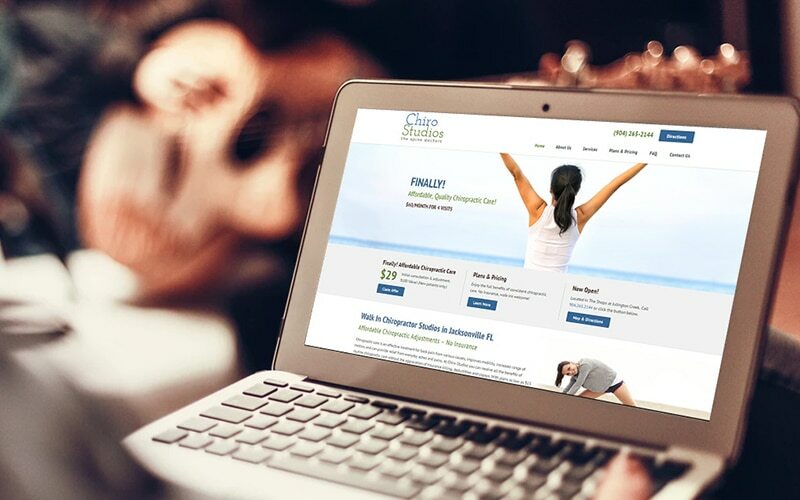 Our agency was contacted by the founder of Chiro Studios while he was considering the Jacksonville launch of a private business modeled after a successful franchise providing monthly memberships for chiropractic treatment. We are honored to have been selected over several of the top website design and marketing agencies in Jacksonville, and we provided startup business consulting services to ensure all aspects of the business launch were carefully considered. The business launch was an early success, and the founder opened a second location just after the first full year in operation. Coming from retirement to operating two locations of a startup proved more than the founder had anticipated, and he sold the rights to another local healthcare organization here in Jacksonville.